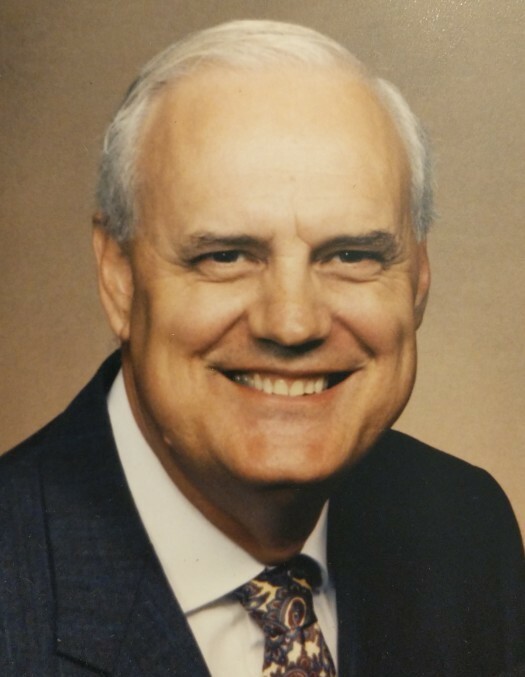 Lt. Col James Daniel “Dan” Matthews, 81, of Athens went home to his Heavenly Father on April 7, 2019, at his home in Talmadge Terrace. He was born on April 9, 1937, to Howard Dailey Matthews and Helen Hurtubise Matthews in Orangeburg County, SC. Upon Howard’s retirement from the U.S. Navy, the Matthews family moved to Athens, near his hometown of Center, GA. Dan began attending youth services in Athens at the First Methodist Church. Dan attended Athens YMCA camp at Pinetops from 1949 through 1957, before working through college for his beloved mentor Coburn Kelley at the YMCA’s summer camps. He served as class president at University High School Class of 1955. He was a 1959 graduate of the University of Georgia, where he played on the freshman basketball team, served as President of the Wesley Foundation and was active with the Air Force ROTC program. After earning his Master’s degree in Health, Physical Education & Recreation from the University of Mississippi, Dan accepted a commission and went on to serve proudly for twenty-eight years in the United States Air Force, rising to the rank of Lt. Colonel, including overseas tours in Taiwan, Japan, and the Philippines. During his 28 years in the Air Force, Dan received many commendations for his service and had the distinct honor of being selected as the Air Force representative on the Military Committee for the Inauguration of President Jimmy Carter. After his retirement from military service at Robins Air Force Base, GA, Dan moved his family to Lorton, VA for a few years before retiring for good to “God’s Country” to become a sudoku master, fantasy baseball guru, and full-time Georgia Bulldog fan. Dan could be found at almost any athletic event, enthusiastically supporting his Dawgs. If Dan wasn’t attending football, basketball, softball, gymnastics, soccer, tennis, or swimming and diving, he was meticulously researching and tracking statistics of potential UGA recruits that would bring the Dawgs another national championship. Shortly before his passing, Dan was informed that he will be honored later this year by the UGA Swimming & Diving team for his dedication and support to the program over the years. After his return to Athens, Dan reunited with his high school sweetheart, the former Patsy Thompson Sailors. They were married for nearly nineteen years and enjoyed family, the Dawgs, and traveling to about 50 countries and 40 islands together. Dan will forever be remembered by his beloved wife Patsy and children from previous marriages - his daughter Kelly C. Matthews of Athens, son James D. “Dee” Matthews, Jr. of Hull, GA; daughter I Ling Matthews Thompson (Tim) of Denver, CO, and William Howard “Howie” Matthews (Ginger), grandson Joseph Wesley Matthews, and granddaughter Abigail Grace Matthews of Lawrenceville, GA. From his marriage to Patsy, Dan was blessed late in life with “bonus” children, Dr. David Sailors (Katie) of Watkinsville, Rhonda Sailors Kilpatrick (Kent) of Athens, and Vicky Sailors Treadway (Keith), “bonus” grandchildren Matt, Morgan, Kelly, Kory, Kevin, Josh, Blake, Kelsey, Hannah, Jake, and bonus great-grandchildren Tyson, Titus and Clayton. The viewing will be Thursday, April 11th, 2019, from 12:30-1:30pm, followed by the funeral service at 2:00pm at Lord & Stephens West with Chaplain Richard J. Cathy officiating. Interment will follow in the Matthews Family section of the Bethaven Cemetery at 4159 Nowhere Rd, Athens, GA. In lieu of flowers, the family requests a donation to The Cancer Foundation of Northeast Georgia or the Athens First United Methodist Church, which were close to Dan’s heart. Lord and Stephens Funeral Home, WEST, is in charge of arrangements.